One word to sum it up: So-so. Shrek was probably the best movie from my childhood. When we all first got a glimpse of it in 2001 it was a movie that we watched over and over. It was also probably the first movie I knew all the words to as well. Shrek 2 was pretty awesome too, seeing as it was made by the same director: New Zealander Andrew Adamson. Come 2007 when Shrek the Third came out, without Adamson directing, the series lost a lot of momentum. So when news was spread that there would be a Shrek Forever After, I couldn't help but feel a little skeptical about this project going ahead. While it was better than I expected, no one seems to be able to capture the magic like Adamson did, and the last two films in the series have nothing on the first two. A bored and domesticated Shrek (Mike Myers) pacts with deal-maker Rumpelstiltskin (Walt Dohrn) to get back to feeling like a real ogre again, but when he's duped and sent to a twisted version of Far Far Away--where Rumpelstiltskin is king, ogres are hunted, and he and Fiona (Cameron Diaz) have never met--he sets out to restore his world and reclaim his true love. Dreamworks is no Pixar. The studio can't seem to be able to capture the essence of what a child wants in their animated movie. They like to hire stars to sell their movie instead of getting more experienced voices who are better at doing the job. Also, their movies are a little too dark and violent, instead of being light entertainment which truly touches the heart. Shrek Forever After is trying way too hard to make up for the losses of Shrek the Third and strive for the excellence that was in the first two. In doing that, it tries to copy It's a Wonderful Life, a movie which the young ones have probably never heard of. It fails in trying to be heartwarming, and passes off as generic stuff which isn't easy to care about. Let's just say, this ain't no Toy Story 3. On the flip side, Shrek Forever After is still pretty enjoyable. Shrek, Fiona and Donkey have been characters which I have grown up with, and despite the mishap during Shrek the Third, I'm still not ready to part with them. They still remain as charming as ever, and the fact that they don't know each other in this one allows the viewer to see some of the magic that we can remember from the first one. 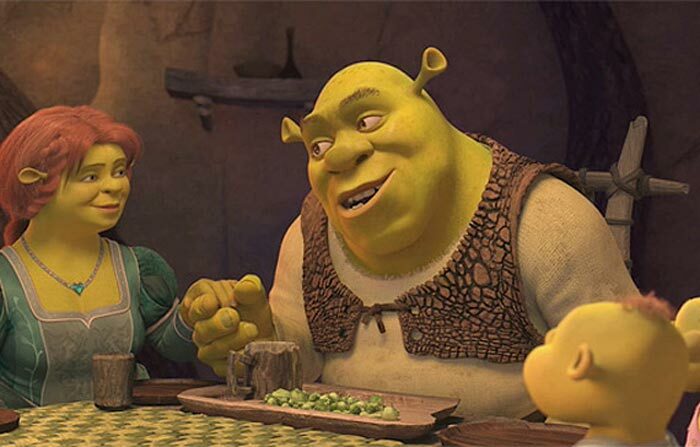 Dreamworks is also all about the funny, and Shrek Forever After delivers hilarity often that it's impossible not to like. It's a hard goodbye to our favourite ogre, but then again the series didn't really go out with a bang. However, the kids will love it, and that's all you could ask for. THE VERDICT: So much better than the last one, but still not as good as the first two. Shrek Forever After is an adequate final chapter with plenty of laughs, but it really could have been better. I agree that it wasn't better than the first one but it was a great final chapter to the whole story.